Welcome to the Name Before the Masses Tour for The Fortress by Madeleine Romeyer Dherbey. In this interview, Madeleine takes us deep into the inspiration behind her book, as well as some insights into her characters and the writing process. And you may be surprised to learn about her taste in music! Please also check out an excerpt from the story, which is set during WWII, one of my favorite time periods in history to study. And then follow the tour for even more excerpts and interviews. Leave her questions and comments along the way. You’ll also get bonus chances to enter the giveaway! Please note that affiliate links are present within this post. Should you make a purchase through one, I may earn a small commission to support my websites, at no additional cost to you. What was the inspiration behind The Fortress? First of all, the Vercors Mountains. Breathtakingly beautiful, dangerous, a natural playground for all extreme sport lovers. Rock climbing, canyoning, spelunking, skiing, it’s all there. But for me, it’s home. It’s where my ancestors have lived and are buried, under those same cliffs. Then, the history. The Vercors is a dream of freedom, a heroic battle, a military disaster, but also redemptive last stand. Many military and history books have been written on the subject, but no fiction accounts, and in fact, I was frustrated by the dryness of the accounts which I felt did not reflect the human dimension of that battle. Finally, my own family history. Three of my uncles were condemned to death for collaborating with the Vichy government and betraying C2, a Resistance camp, to the Nazis. Their sentences were later commuted to forced labor, but the national disgrace verdict stood, and they had to leave the area to avoid being murdered. Despite the death threats, my father— who had fought with honor during the war—decided to stay. The legacy was hard to overcome in a community mauled by four years of occupation and violence, and seventy years later, my last name remains associated with the destruction of the Maquis of Malleval. There are also small things, like a Sten machine gun I found in the mud of a summer creek, with this inscription, Pour ma Suzon Cherie, June 12, 1944; or the story of a fifteen-year old boy, a resistant fighter whose name is forgotten, who was tortured and murdered by the Nazis in the summer of 1944. And finally, Russel Crowe, naturally. Who are your favorite characters in The Fortress? My favorite characters are the two protagonists, Marc and Alix, two mismatched people who would have never looked at each other had the war not thrown them in a battle for survival and revenge. They meet at the edge of defeat and find in each other the strength to overcome. Marc, a complicated man who is a blend of all the men I have loved, their steely strength and emotional secrets—no masculinity is too toxic there—I have always imagined as Russell Crowe. I’m not sure who Alix is, the woman I wish I were, I guess, calm but passionate, intelligent and organic. Isn’t it why we write, to re-invent ourselves? To which characters in The Fortress do you most relate? The bad guys, unfortunately. They are so inevitably the embodiment of human weaknesses, not who we want to be, but what, sadly, many of us, including myself might find in the mirror, were we confronted with the same choices. In fact, it was even painful to go into their minds, because of the blend of contradicting emotions that went into their behavior, the hateful things they say and do, against their stunted humanity. I think the Militia chief, a broken soul with a pale glimmer of who he should have been, is the most effective in that sense. What are your favorite scenes in The Fortress? Any scene Alix finds herself with Marc? I think I did a good job on building the tension between them, based on attraction and real conflict, without drama or corny sexual desire. I am also proud of my battle scenes, and military arguments. Tell us about your writing routine. Shock Top works best, one and a half, no more, and Finnish metal music. My favorite bands are Ghost Brigade, Insomnium, Wolfheart, and Swallow The sun. It’s as vast and brilliant as a Beethoven Symphony, thunderous but melodic, the perfect emotional outlet. And then, frozen expanses, Nordic lakes, white forests, it’s land’s end, after all. What might readers be surprised to learn about you? While I have reinvented myself as a dedicated wife and mother, a passionate teacher of students with severe and multiple disabilities, who relaxes with gardening and hiking with the dogs, I was pretty much the opposite until mid-life. People are invariably surprised about my death metal taste, of course, and I can read the disbelief on their face when I tell them I travelled through the Kheiber Pass with Taliban fighters, or went to a Voodoo ceremony in Haiti. For the rest, I dare not say. The novel I could write, had I not become Christian thanks to my husband, would be banned from public libraries. The war has not made much of difference in Alix’s life. Her father has seen to it that she grows up unaware, unworried, but safe in her tiny village under the cliffs of the Vercors. 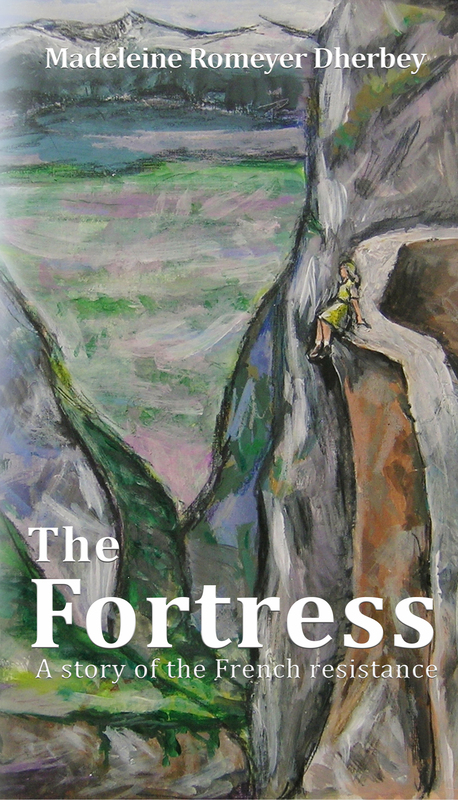 All around her he has built a fortress whose walls are impregnable—until the 27th of April, 1944. That day he makes a stupid mistake up on the cliff, and the walls of the Fortress start crashing down. Reality breaks into Alix’s life with unrelenting violence, unforeseen possibilities. From now on, every decision she makes will mean life or death. Six weeks before D-Days, a thousand kilometers from the beaches of Normandy. There are no generals in the French Vercors, just a handful of men and women against the Nazi war machine. They come from Bretagne, Paris, and Slovenia, and the villages up on the cliff. They are the Fortress. “And that’s your problem?” she snapped. 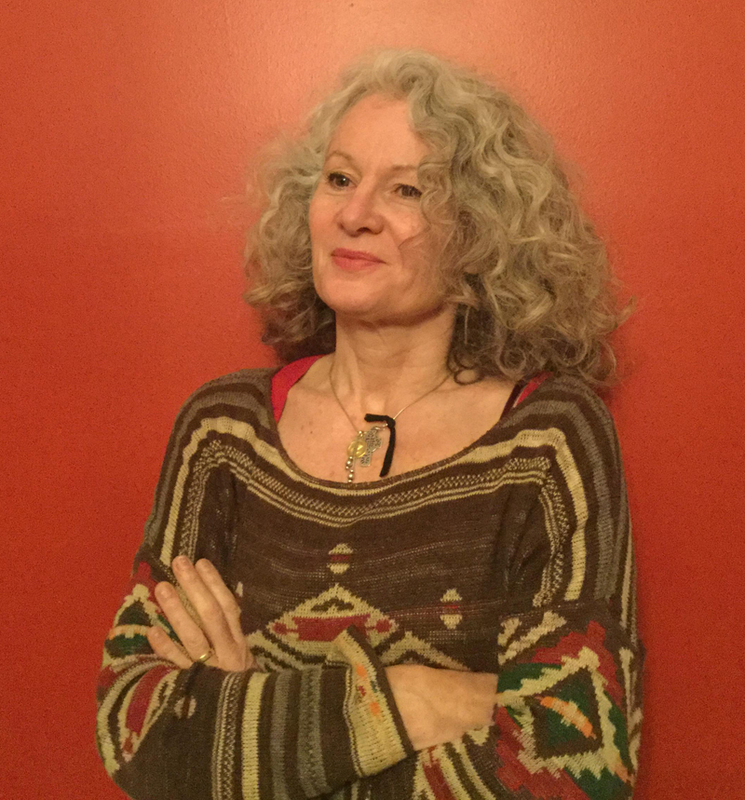 Madeleine R omeyer Dherbey was born in the French Alps, moved to the United States twenty-five years later, and currently lives in the mountains of Virginia with her husband, two daughters, and Mikko. Madeleine Romeyer Dherbey will be awarding a $25 Amazon or Barnes and Noble GC to a randomly drawn winner via rafflecopter during the tour. Do you prefer e-books or print books? I love the cover. How did it come about? What lessons have you learned as a writer? Good luck on your book. It sounds wonderful. Who is the greatest influence in your writing career?